Last week, ex-Deutsche Bank trader David Liew pled guilty in Federal Court to “spoofing” and direct manipulation of precious metals markets, and was subsequently banned permanently from the industry. According to the recently concluded lawsuit, Liew and his colleagues engaged in two types of malicious activity in precious metals markets: “spoofing” and direct manipulation. These are two separate violations, but they go hand-in-hand: Spoofing is what allows direct manipulation. Spoofing is the act of sending “fake” market orders to persuade other market participants to buy or sell. This activity is used in the futures market, where contracts to buy or sell metals at a certain price at a future date are exchanged by traders. The contracts are what get bought and sold in the futures market — not necessarily the metals themselves — which only change hands if the contract is executed. However, activity in the futures market has a direct impact on actual precious metals prices, which is what makes Liew’s and his colleagues’ crimes so egregious. See, when a trader like Liew sends a large quantity of orders for metals future contracts at a certain price, that spike in trading activity can cause other market participants to falsely believe prices will soon move in one direction or another. Market participants don’t know how many people are buying and selling these contracts; they just see a big shift in the market, which implies that price changes are afoot. If the contract orders were genuine — meaning they were coming from a large number of traders buying or selling contracts based on a sincere belief about future market prices — then other market participants would have been right to use the activity as a signal for their own actions. But that wasn’t the case here. The orders were coming from a small handful of traders at large financial institutions like Liew at Deutsche Bank, and a few unknown others. And these few malicious traders were planning to cancel the orders all along. Essentially, this “spoofing” in the futures market allowed Liew and others to deceive market participants and cause unfounded buying or selling in the futures market, which in turn drove metals prices up or down — depending on the malicious traders’ agenda at the time. But spoofing is just a means to an end. After tricking market participants in the futures market and pushing actual metals prices in a favorable direction, Liew and his colleagues went on to engage in direct manipulation of the metals market. The direct manipulation occurred when Liew and his colleagues stepped out of the futures market and into the actual metals markets, where they took advantage of the effects of their spoofing to buy or sell metals at a profit. The entire process is circular, and it can be used to exploit the market in both directions. The only people who benefitted were Liew and malicious traders like him. Regular market participants were the only losers. Liew has been banned from trading, but this isn’t an isolated incident. Bigger fish may still be out there playing crooked games with metal prices. 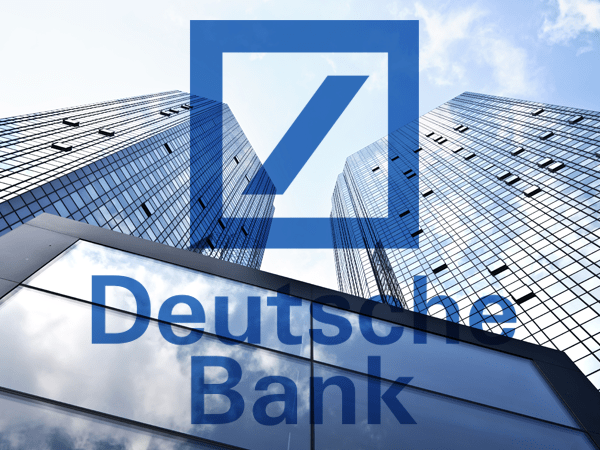 For example, back in October 2016, Deutsche Bank paid $38 million in a settlement regarding alleged manipulation in the silver market. And in the settlement documents, several other major global banks are implicated in similar nefarious activity. On top of that, details in Liew’s case show there are many other traders still out there doing the same thing he did. Liew claims to have learned from “the master” — an unnamed trader at an institution other than Deutsche Bank — and documents from the investigation reveal Liew coordinated with several other traders (both inside Deutsche Bank and elsewhere). 1) It hurts market participants in the short-term by bullying them into making losing investment decisions. 2) It prevents gold and silver prices from finding their true level. But as manipulators continue to be weeded out, this could be a very exciting time for precious metals. Obviously, there’s the upfront benefit to average metals buyers like you and me, who will no longer have to worry about institutional tampering with their investments. However, the larger benefit here is what will happen when precious metals prices are free to reach their real potential. Without manipulators constantly interfering — pushing prices down and quickly inflating them, causing uncertainty and volatility — the prices of metals will have a legitimate opportunity to stabilize and grow. As regulators keep working to end manipulation for good, watch the price of gold and silver closely. We could be in for some interesting times.